Service Manager, Director and co-founder of Allgas, Thomas trained as a gas fitter with the former Dublin Gas and set up Allgas with Bernard Leech in 1987. Thomas is unmatched in Dublin for his experience and knowledge of all types of boiler technology and is regularly called on by other RGII installers to advise on solving problem boiler faults. He also has vast experience in designing new heating systems and bathrooms. Thomas is a RGII Registered gas installer. 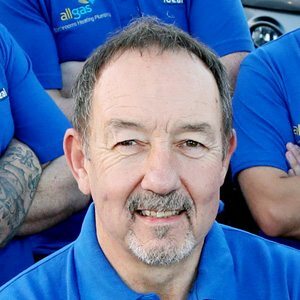 Installation Manager, Director and c0-founder of Allgas, Bernard trained as a gas fitter with the former Dublin Gas and set up Allgas with Thomas Mahady in 1987. 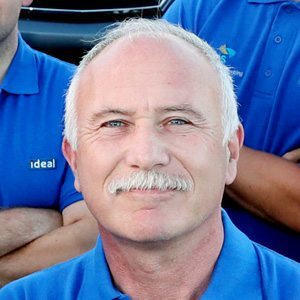 Bernard has extensive experience in installing all types of heating systems and upgrading existing systems with modern energy efficient technology. Bernard also specialises in designing the refurbishment of all types of bathrooms including bathrooms for persons with mobility difficulties. Bernard is a RGII Registered gas installer. Stephen started his apprenticeship with Allgas in 1998 and following his apprenticeship qualified as a plumber and registered gas installer. Stephen has worked on all installing all types of boilers and heating systems and bathrooms. Stephen has considerable experience in working on large projects which involve liaising with builders and other tradesmen to ensure smooth co-operation and completion of jobs without delay. Stephen also specialises in solar heating. Stephen is a RGII Registered gas installer. Graham started as an apprentice with Allgas in 2006 and following his apprenticeship qualified as a plumber and registered gas installer. Graham has worked in all aspects of Allgas work in installing boilers, heating systems and bathrooms. Graham has carried out many bathroom refurbishments ranging from re-vamping small bathrooms to full fitting of large luxury bathrooms and bathrooms for people with mobility difficulties. Graham is also expert in installing boilers, energy saving controls and full heating systems. Graham is a RGII Registered gas installer. Sean started his apprenticeship in 2007 and following his apprenticeship qualified as a plumber and registered gas installer. Sean has worked in all aspects of Allgas work in installing boilers, heating systems and bathrooms. Sean has many years’ experience in installing full heating systems, high efficiency boilers and energy efficient heating controls. Sean has also built up considerable expertise in bathroom installation. Sean is a RGII Registered gas installer. Bernadette is our Office Manager and will be your first port of call when contacting Allgas. Bernadette joined Allgas in 2001. She has developed our appointment, I.T. , compliance and administrative systems as well as our website and has built up excellent relations with our many longstanding customers. We believe in planning for the future and currently have three apprentices in training.